A gorgeous mountain side room. White marble surrounds the private whirlpool tub for two and working fireplace with beautiful antique mantel, king-size pillow top bed, "Mission" furnishings, DirecTV/DVD, ceiling fan, air conditioning, stain glass windows and French door to furnished mountainside patio. L'Occitane spa and bath amenities. 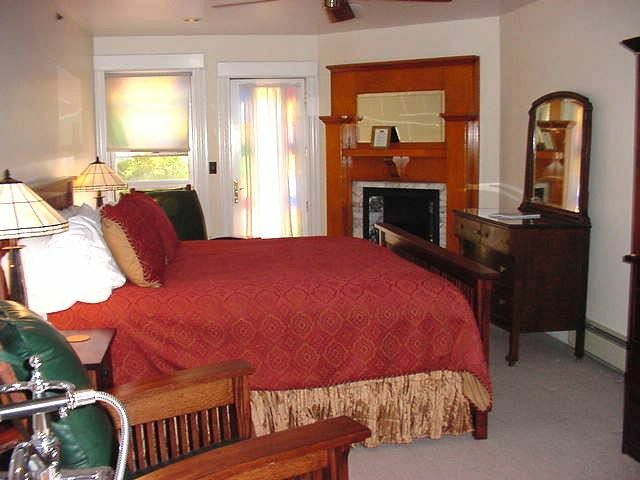 Many additional guest room, business and bath room amenities. Complimentary local and domestic long distance calling.